The International Strategic and Security Studies Programme, National Institute of Advanced Studies invites you to a Public Lecture by Professor Professor Mohammed Ayoob, University Distinguished Professor Emeritus of International Relations, Michigan State University. 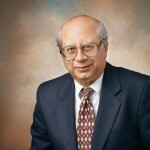 Mohammed Ayoob is University Distinguished Professor Emeritus of International Relations, Michigan State University. He is the author or editor of 15 books and approximately 100 scholarly articles in peer-reviewed publications. His most recent books include The Many Faces of Political Islam (University of Michigan Press, 2008), Assessing the War on Terror (Lynne Rienner Publishers, 2013) and Will the Middle East Implode? (Polity Press, 2014). His commentaries on current affairs have appeared in The Guardian, Foreign Policy, Yaleglobal, and CNN, among other places.